Israel Redux: The Image of Christ in the Gospel According to John (Part I) | Theopolis Institute | Bible. Liturgy. Culture. Since my educational and professional training have revolved around story and narrative structure, I approach John’s Gospel from a literary and narrative perspective. In doing so, I have noticed structural story patterns and followed them where they seem to lead: the Gospel of John parallels the ordering of the books of the Tanakh. Although John’s Gospel has long been viewed as anti-Semitic due to its repeated use of the term “the Jews” as a blanket designation of the enemies of Jesus, John’s compositional structure points to the Hebrew Scriptures as God’s logos, now in flesh appearing. Jesus is the incarnation of a nation: Israel’s history is his story. 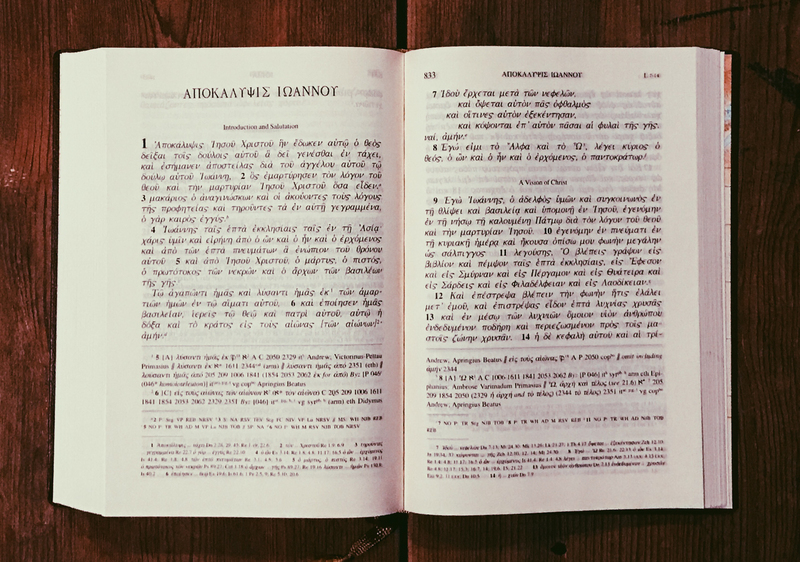 This essay employs narrative pattern recognition: it analyses John’s sections and compares those with the metanarrative sections of the Tanakh, noting parallel patterns. Discrete parallels have also been noted in secondary sources, which are cited. By suggesting that the Fourth Gospel parallels the Tanakh as a whole, this essay seeks to bring these secondary sources into conversation about John’s compositional strategy. John’s narrative famously differs from the other Biblical accounts of Jesus’ life. For example, none of the other three Gospels mention a wedding in Cana or Jesus’ first miracle there, or Jesus’ meeting with Nicodemus, or his raising of Lazarus from the dead. None of Jesus’ healing miracles in John are mentioned in the other Gospels, and John places Jesus’ cleansing of the temple in a radically different location—at the beginning of Jesus’ ministry (whereas Matthew, Mark, and Luke place it in his final week before his crucifixion). Endings emphasize meaning. For example, Matthew ends with The Great Commission. But John’s Gospel uses its final words to state that the author has been selective. If John’s narrative does not contain all that Jesus did, what was the selection principle? A number of underlying structural models have been put forth. D.A. Carson lists some of them in his seminal commentary, The Gospel According to John. From his opening words, it is obvious that John has made up his mind about Jesus: “In the beginning was the Word… the Word was God.” John knows what he has seen and heard, and now he is making his case: “We have found the one Moses wrote about in the Law, and about whom the prophets also wrote—Jesus of Nazareth, the son of Joseph” (1:45). The opening chapter of John’s Gospel points to the books of Moses and the prophets to confirm Jesus’ identity. Since John’s prologue clearly points to Genesis, could John’s subsequent chapters likewise point to subsequent Scripture books? I argue that they do: John’s first five and a half chapters reflect the Law, and the remainder of John’s Gospel reflects the Prophets and the Writings of the Hebrew Bible.5 John’s Gospel is not just making the case for Jesus verbally, it is also making it structurally. To those who did receive him, John continues, “he gave the right to become children of God—children born not of natural descent, nor of human decision or a husband’s will, but born of God.” “Children not of natural descent but born of God” echoes both Adam and Eve in Genesis, on the one hand, and Israel in Exodus, on the other—the miraculous offspring of Abraham (whose wife Sarah was barren), Isaac (whose wife Rebecca was barren), and Jacob (whose wives Rachel and Leah were barren”10) resulting in God’s declaration in Exodus 4:22 that Israel is his firstborn son. Nicholas Perrin writes that as John’s opening words recall Genesis, “at the same time, John’s Prologue is shot through with Exodus imagery.”11 “The Word became flesh and dwelt among us” (lit. “tented” or “tabernacled” among us) echoes God’s dwelling among Israel in the Tabernacle in Exodus, the first time God dwells among humans since the time of Adam and Eve in the garden. In Noah’s time God punished the world for its sin. Here John the Baptist introduces Jesus as “the Lamb of God, who takes away the sin of the world!” “Lamb of God” recalls Abraham telling Isaac, en route to sacrificing him, that “God himself will provide the lamb” (Gen 22:8). John the Baptist uses the term twice in the first chapter of John—“Look! The Lamb of God…”—pointing back to Abraham’s willingness to sacrifice Isaac.13 Israel began with that promised child, and now Jesus, Israel’s culminating child of the promise, is here. Concurrently, “Lamb of God” also recalls Israel’s Passover lamb in Exodus: God’s people, protected by the sacrificial blood of the lamb, are spared from divine judgment on Egypt. John 2 starts with a wedding. And at that wedding, Jesus alludes to Moses’ first plague: Jesus changes water into wine; Moses changed water into blood (Exod 7:20). John writes that Jesus went to the Cana wedding “on the third day,” recalling both Genesis 22:4—on the third day, Abraham was going to sacrifice Isaac on Mount Moriah—and Exodus 19:16-20—on the third day, the Lord came down on Mount Sinai (and Moses went up). If the first half of John 2—the wedding—symbolizes the renewed creation of the first half of Exodus that culminates with the Mount Sinai nuptials, consider that the second half of John 2 has Jesus’ re-establishing the temple, paralleling the second half of Exodus that records the establishment of the tabernacle, God’s dwelling on earth. Right after the dramatic Passover23 temple cleansing, Jesus introduces himself as the dwelling of God on earth: “Destroy this temple, and I will rebuild it in three days.” Israel’s final temple is here. The Book of Leviticus is Israel’s “How-to-Book of Starting Over.” Leviticus teaches forgiveness of sins and reconciliation in the community through the transfer of guilt: the blood of a clean sacrifice shed in exchange for a pardon of the lawbreaker. Leviticus lays out the means of grace to Israel, how to be cleansed and make a new start. Again and again. In John 3, the tabernacle in the flesh drives this home. For a full pardon, we need the ultimate new start: a new birth. A new Spirit. Consider that Nicodemus received his lesson from the sacrificial lamb himself, the sacrifice that would trigger the release of that life-giving Spirit into the world. Jesus explains: “As Moses lifted up the snake in the desert, so the Son of Man must be lifted up, that everyone who believes in him may have eternal life. For God so loved the world…” Jesus’ imagery of the snake in the desert comes from Num 21: 8-9, where anyone who looked at the bronze snake on the pole was saved from imminent death. But here Jesus enlarges the boundaries of God’s kingdom far beyond Israel. After the conversation with Nicodemus, the remainder of John 3 deals with an apparent rivalry between Jesus and John the Baptist (perceived as such by some of John’s disciples). The first chapter of John established that whoever baptizes is God’s anointed (i.e., the baptizer must be either the Christ, Elijah, or the Prophet). So who is God’s anointed? This situation recalls the rivalries in Numbers where Moses’ leadership was doubted by his own siblings, Miriam and Aaron (Num 12) and Korah, Dathan and Abiram (Num 16). In sharp contrast to those mutinies, John the Baptist declares that Jesus is the one whom God has sent (3:34). Jesus then travels to Cana, Galilee –to the people to whom he first showed his glory by turning water into wine– but voices frustration with the unbelief in his home region, especially when he is asked for another miracle: a father begs for the healing of his deathly ill son. According to E.W. Bullinger, editor of The Companion Bible and author of its Appendixes, the son’s illness symbolizes Israel’s condition during Jesus’ ministry.34 Bullinger’s assessment echoes Israel’s literal near-death experience in Num 14:11-12 where God voices his frustration to Moses about Israel’s continuing unbelief: despite witnessing miracles and having seen God’s glory (the exact condition of Cana’s residents in John 4), Israel lacks the faith to take the Promised Land. God initially wants to destroy his son Israel for its unbelief and start over with Moses. Significantly, that national near-death experience is not just an anecdote in the Book of Numbers; this event is the root cause of Israel’s desert wanderings—it is Numbers’ raison d’être. In Deut 1:31-32, Moses looks back and comments on that lowest point of Israel in Numbers 14, stating: “You saw how the Lord your God carried you, as a father carries his son…yet you did not trust in the Lord your God.” Yet in both Num 14 and in John 4, the deathly ill son is given life. “Hear, O Israel: The Lord our God, the Lord is one [emphasis mine]” precedes Israel’s great commandment (Deut 6:4-5). Compare John 5:18 where the religious leaders want to kill Jesus because he claims equality with God by calling God his Father. While Jesus has been referring to God as “Father”, here Jesus explains for the first time the relationship: through the remainder of John 5 he unpacks how the Son and the Father are of one mind. Deuteronomy is the first book in the Hebrew Bible where God is called Israel’s Father: “…the LORD your God carried you, as a father carries his son, all the way you went until you reached this place” (Deut 1:31); “Know then in your heart that as a man disciplines his son, so the LORD your God disciplines you” (Deut 8:5); “Is he not your Father, your Creator, who made you and formed you” (Deut 32:6)? After concluding his Deuteronomy sermon from the east side of the Jordan, Moses ascends a mountain, alone. Jesus, after the feeding of the five thousand on the east side of the Sea of Galilee, withdraws to a mountain by himself (John 6:15). Geert Heetebrij (MFA, UCLA) is assistant professor of film and media in the Department of Communication at Calvin College. 1. ↑ Unless otherwise indicated, all scriptural quotations are taken from The Holy Bible, New International Version Copyright © 1973, 1978, 1984 by International Bible Society. Used by permission of Zondervan Publishing House. All rights reserved. 2. ↑ Donald A. Carson, The Gospel According to John (Grand Rapids, MI: Eerdmans, 1991), 103. 3. ↑ George R. Beasley-Murray, World Biblical Commentary, 36, John (Nashville: Thomas Nelson, 1999), xci. 4. ↑ Carson, John, 98. 5. 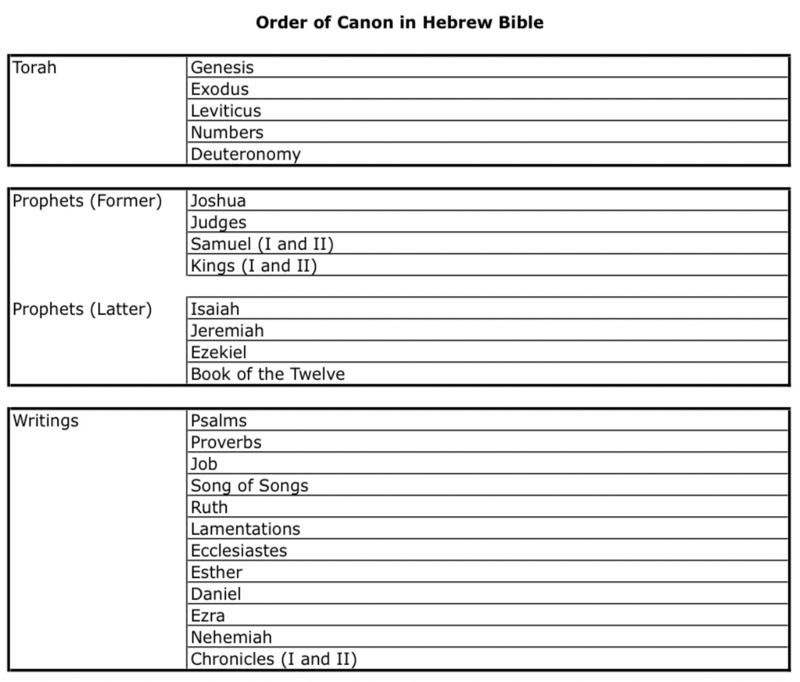 ↑ The Hebrew Bible consists of three parts: the Law of Moses, the Prophets, and the Writings. “Moses and the Prophets” is a way of designating the whole of the Hebrew Bible, including the Writings. Lewis Foster, “Luke” in the NIV Study Bible(eds. Kenneth L. Barker et al. ; Grand Rapids, MI: Zondervan, 2002), 1621. 7. ↑ N.T. Wright, The Day the Revolution Began(New York, NY: HarperCollins Publishers, 2011), 94. 11. ↑ Perrin, Exodus, 91. 12. ↑ The apostolic faith holds that baptism is symbolized by Noah’s ark (1 Peter 3: 21) andby Israel’s Exodus-journey through the Red Sea (1 Cor 10: 1,2). 18. ↑ Author’s personal conversation with Nicholas Perrin. 19. ↑ Wright,Jesus, 66. “…the Israelites arrived at Mount Sinai, where the ‘marriage covenant’ between them and their God was sealed.”. 22. ↑ Grassi, Wedding, 128. 23. ↑ The second half of John 2—the temple cleansing—takes place during Passover: a new Exodus is at hand. 25. ↑ There are no chapter markings in the original writings. Chapter divisions were later put in place at natural breaks and transitions in John’s narrative. This essay follows natural breaks and transitions (many of which—but not all—coincide with chapter divisions). 27. ↑ Leviticus subsequently repeats that “the Lord spoke to Moses” over 50 times, Numbers repeats it over 150 times. 30. ↑ Andreas Köstenberger, “John.” Commentary on the New Testament Use of the Old Testament. Edited by G. K. Beale and D. A. Carson. (Grand Rapids: Baker Academic, 2007), 434. 33. ↑ Köstenberger, Commentary, 439: “As D.A. Carson (1991: 220) aptly notes, Samaritans’… canon was limited to the Pentateuch…” Köstenberger adds: “What is more, even in the Samaritans’ own liturgy it is said regarding the Taheb (the Samaritan equivalent to the Messiah) that ‘water shall flow from his buckets’ (cf. Num. 24:7 [emphasis mine]; see Bruce 1983: 105).” In terms of an implied Samaritan-Balaam connection, note that Num 24:7 is Balaam blessing Israel. 34. ↑ E.W. Bullinger, Appendixes to The Companion Bible, The Eight “Signs” in John’s Gospel, Appendix 176 (Grand Rapids, MI: Kregel Publications, 1999), 195. 35. ↑ Is disability a punishment for sin? Later on, in chapter 9, Jesus heals a blind man. There, Jesus states that the blind man’s disability has nothing to do with the man’s (or his parents’) sin. But here, in this specific case, echoing Deuteronomy, Jesus points out a connection between the man’s sin and his health.